We joined Terlep Chiropractic in the fight against cancer! 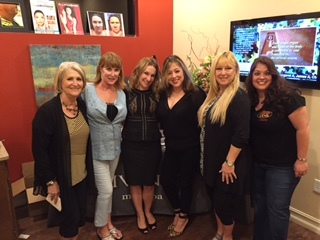 On April 14th, Terlep Chiropractic of Hernando County held their 3rd Annual Ladies Night event to raise money for The American Cancer Society. We were so excited to be asked to participate in their event this year, which drew about 400 women through their doors in years past! Not only would we have the opportunity to meet and touch all these ladies, giving samples, coupons & candy, but we would help raise money for a cause that affects us all. 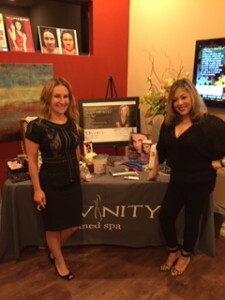 Team Divinity was all set up and ready to go! 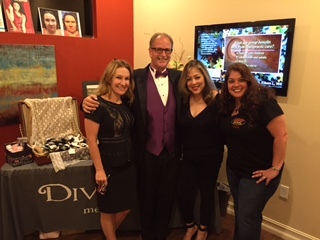 Holly, Tami, Dr. Mike, CrystalSmooth Rep, Danielle, and the fabulous Chelle Fontaine from Hits 106.3 were all strategically stationed in a room to help as many ladies as possible! 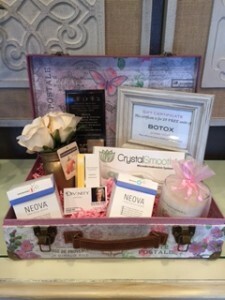 Our beautiful donation basket, valued at $650, was the standout of the group of raffle prizes. We took a deep breath…..and they came! Hundreds of lovely ladies flooded the office, gathering goodies, getting information, laughing and enjoying – it was quite an evening. So many of our friends and patients came by to show their support for us and donate to the cause – we were so very appreciative! The hours seemed to fly by, and at the end, although exhausted, we knew a truly good thing was done there that night. If you missed it this year, keep an eye on our Facebook Page to see when it will happen again next year (we were already asked to return). Congratulations to all the winners of the night! 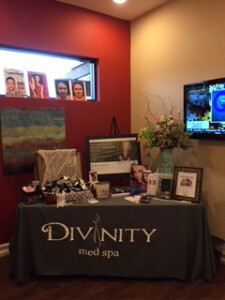 Join us for our Mother’s Day Open House!